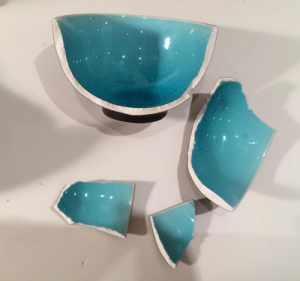 The Kint Institute takes its name from the ancient Japanese art known as kintsugi. 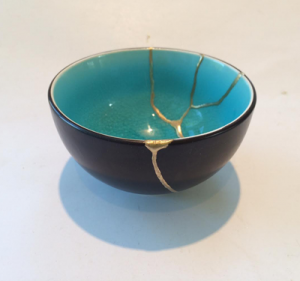 Translated as “golden joinery,” kintsugi is a practice dating back to the 15th Century in which broken ceramics are mended by reconnecting the pieces and filling the cracks with lacquer mixed with gold, silver, or platinum. The process is not just one of repair, but also of transformation, as it results in the creation of a new piece that is considered more beautiful than the original because of its fractures. Kintsugi is reflective of the Japanese aesthetic and worldview of wabi-sabi, which locates beauty in imperfection and impermanence.